Upcoming Horse Shows we will take student to—parents must attend if under 18. (coaching required for all shows if on a lesson horse and all students for jumping). Colchester Ag Society Open Fun Shows at Fultonvale Outdoor Arena, trailering $20, coaching $20. Enter all classes you want as you can’t add at the show. — English/Jumping/Western/Gymkhana: May 5 & Sept 15, 2019. If you find another show you want to attend, please talk to your instructors or join our Paints Plus Show Group on facebook. 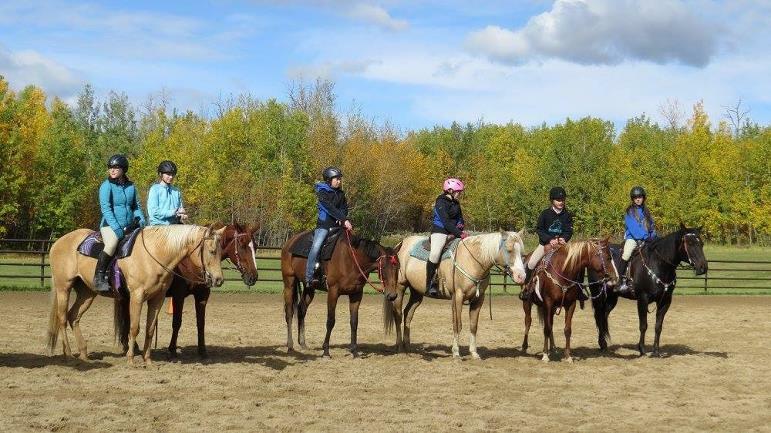 We take intermediate lesson students and boarders with us on day trail rides in the Edmonton area when the weather cooperates, usually Sundays or Thursdays. Watch for sign-up sheets on barn whiteboard and our facebook page. 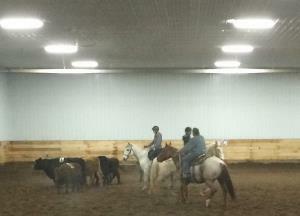 You must have an AEF membership to attend (www.albertaequestrian.com). Limited trailer spots available if you don’t have your own trailer and some lesson horses suitable to lease for the day if required. Overnight Camping Trips 2019—AEF membership required & tent or camper. 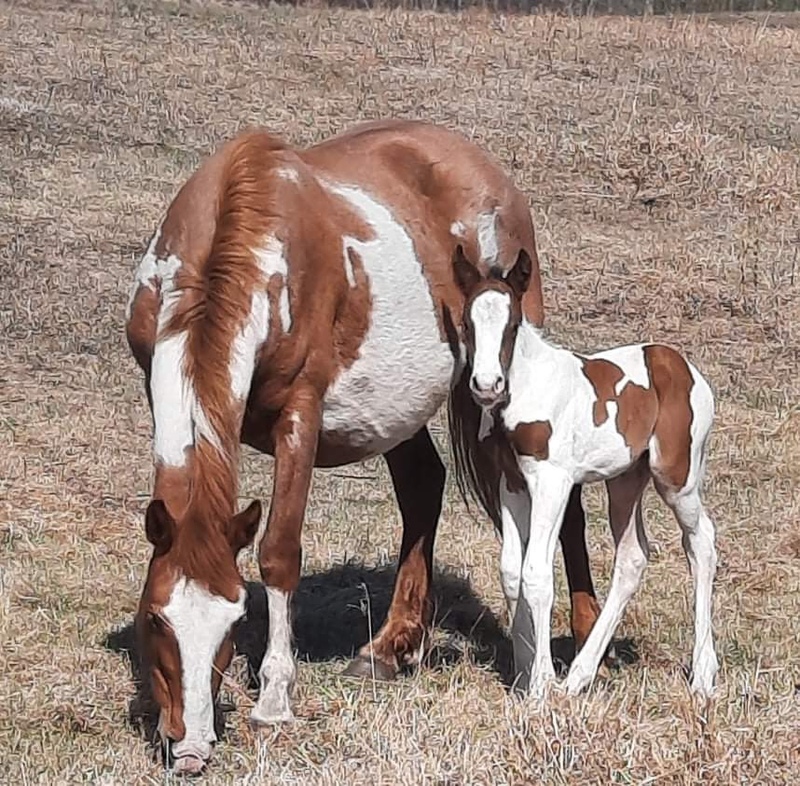 May long weekend we are willing to haul an extra trailer if enough interest, other trips we only have 1-2 spots open if you don’t have your own horse trailer. Some lesson horses can be leased for these trips. — May 16-21: Long Weekend Camping Trip, Brule Sandhills (near Hinton) P+ boarders and students only. No shoes required. There is a bed and breakfast in Brule (2 minutes) or hotels in Hinton (15 minutes) as no facilities where we camp, just a creek. May be a $20/night camping charge depending on where we stay. — June 25-July 2: Hummingbird (100km West of Rocky Mountain House). No charge for camping, highline poles only, outhouses and a creek. — July 4-7: Writing-On-Stone Provincial Park camping and riding weekend. No shoes required. Must have your own trailer. — Aug 18-25: Kananaskis Bluerock Campground, 30 minutes West of Turner Valley, covered tie stalls. Camping fees. Shoes required. Boarders may ride around lessons but must give lessons right of way. Lessons are in black and lease rides are in blue. Events of interest to clients but not at Paints-Plus, or not using arena, only upstairs, are in green.  *Day camps page has registration forms and more information. No boarder riding in same arena during day camps or clinics in pink. 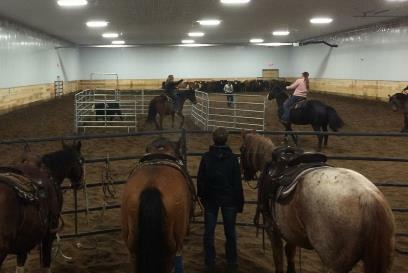 Cattle Penning/Sorting practices run every second Saturday at 7pm, come at 6pm to warm up. Cost is $20 for 2 runs sorting and 2 runs penning plus $10/horse haul in fee if you don’t board your horse with us. Video of practice—come join the fun. Pictures below. We do have some suitable lesson horses than we are willing to lease to intermediate students for this also. Please note that cattle will not be hauled in if daily high that Saturday is colder than –15 degrees Celcius. We also run Sunday sorting and penning clinics for new horses/riders every couple months over the winter, from 1230-330pm, come at 12pm to warm up. Please sign up on whiteboard list or call or text Lexi 780-340-5773 ahead if you plan to come, or go to our "Edmonton Area Cattle Penning and Sorting" facebook group and check for updates and message if you are coming. If there is not enough interest, we may cancel or haul less cattle. 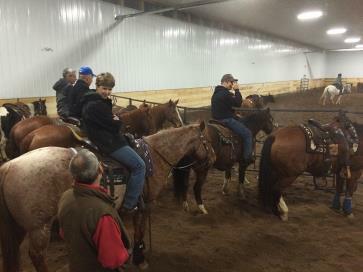 Pictures from December 5, 2015 Cattle Sorting and Penning Practice. Click for video.